Wexford soccer side North End will face Pike Rovers this Saturday, May 12th at 2pm at the Aviva Stadium in Dublin. They’ll compete for silverware in the FAI Junior Cup final, a national amateur football cup competition for junior association football clubs in the Republic of Ireland. Fairview Rangers (eight-time winners) and Dublin’s Cherry Orchard (seven-time winners) are two of the most successful teams in the competition, a competition that receives almost 600 applications from clubs. 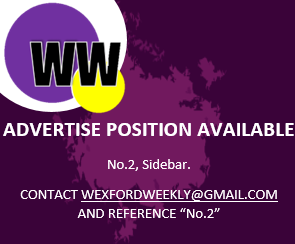 It’s been an incredible run thus far for the Wexford side, and their latest semi-final victory against St Michael’s of Tipperary highlighted their never-say-die attitude after grabbing two late goals to seal a 2-1 victory. Stand-out players for North End include Paul ‘Spot’ Murphy, Gary Delaney and Robin Dempsey to name just a few. Their opponents, Pike Rovers (Limerick), were runners-up in the competition last year, but they’ll be hoping to go one step further on the weekend. 🎥 Ahead of this Saturday's FAI @NBFootball Junior Cup Final, the captains of @PikeRoversFC and @NorthEndWexford sat down in @Jacc_Ireland to discuss the big day.